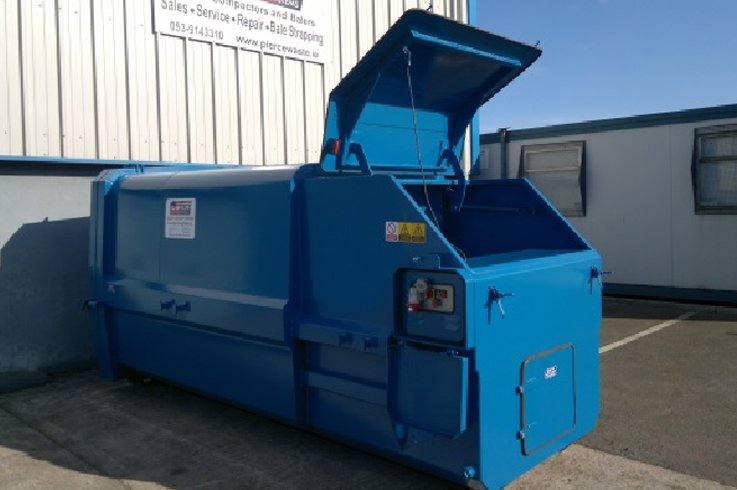 Chain Lift Skip Pack Portable Waste Compactor with End Loading Spring Assisted Lid. Loading is through a safety switched end loading spring assisted lid. Sealed Back door fitted for liquid retention.